Netflix, Sling TV, and OTA channels with professional installation—what's not to love? There’s a new streaming set-top box on the market, but it’s a little different from all the rest. Dish’s AirTV Player, available to buy right now, streams 4K Android TV content plus free live TV by grabbing over-the-air signals with an antenna. Oh, and it works with Sling TV, too. Dish is launching AirTV at CES on Tuesday, and while we haven’t gone hands-on with the new streaming box yet, it sounds like a cord-cutter’s dream. The box lets you seamlessly switch between local channels and streaming apps from the Google Play Store. The AirTV Player starts at $100 for streaming only, or you can buy a $130 model with an over-the-air antenna adapter for grabbing those HD broadcast channels. Both models include a $50 Sling TV credit. You can add an antenna adapter to the streaming-only box for $40 at a later date if you decide you want OTA content. 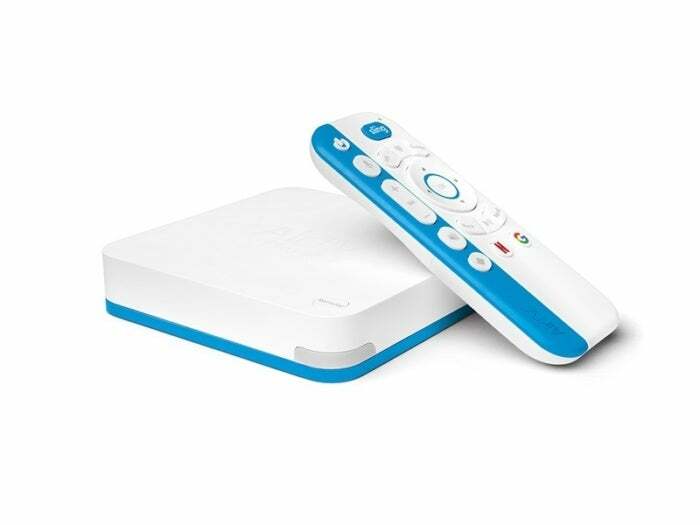 The box also comes with a Bluetooth voice remote that has dedicated buttons for launching Sling TV, Netflix, and Google. The cherry on top is the AirTV Pro Install service, which helps you find a licensed technician to recommend and install an indoor or outdoor antenna for streaming free over-the-air channels. You can DIY an antenna installation, but if you’re not comfortable going it alone, one-room installation (including antenna) will run you $100 for an indoor antenna or $150 for an outdoor one. You don’t have to buy an AirTV to take advantage of the service. We’ll be taking a closer look at the AirTV Player later this week, but for the more than 14 million Americans who are already watching over-the-air channels with an antenna, Dish’s new set-top box sounds like the perfect complementary device.